Never really thought too much about bridges being destination tourist sites, but two recent trips found me milling about with huge crowds as people walked across a bridge, not just to get to the other side, but to be on the bridge (though I guess I've done this myself before with the Golden Gate!). 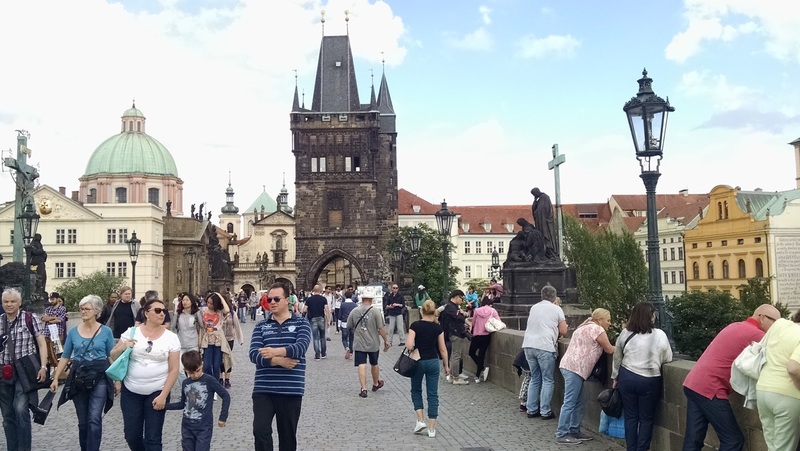 Didn't realize that Prague is in the top five tourist cities in Europe, seems that every one of them walks across the Charles Bridge at all hours and always in the opposite direction from me! One would think that with 36 bridge (according to most counts) that people would be spread out over them all. Well, they are, but the Fangsheng crosses the major river (Dianpu) and with its long graceful arches is a must see!